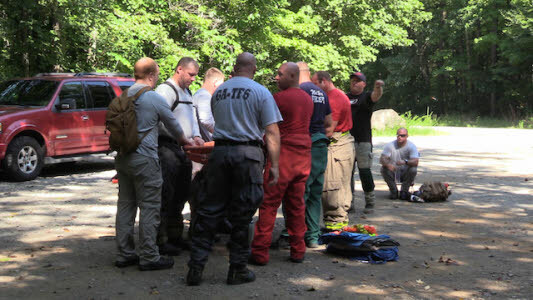 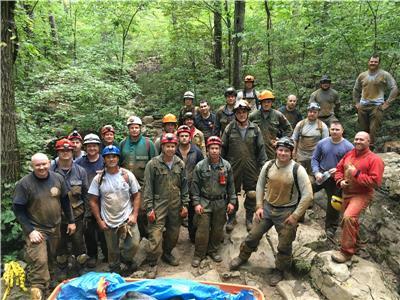 Members of Georgia Search and Rescue Task Force 6 spent two days conducting cave rescue training in Walker County this week. 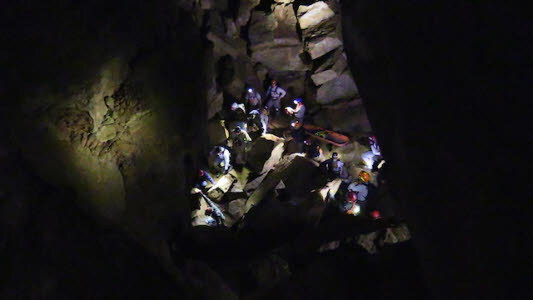 The team, which is based out of the Calhoun Fire Department, includes members from various departments throughout the region, including nine members from Walker County Emergency Services, which also has its own Cave & Cliff Rescue Team. 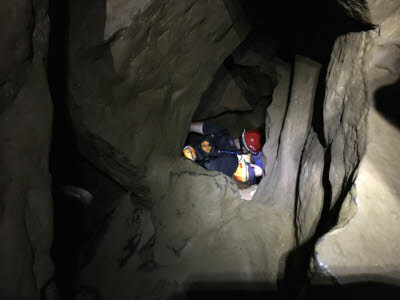 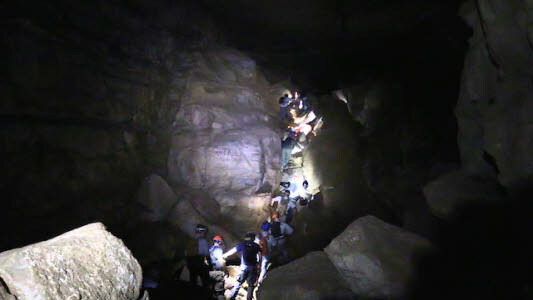 The Task Force journeyed about an hour into Pettyjohn's Cave to experience the wet, rocky and narrow confines they may have to work in. 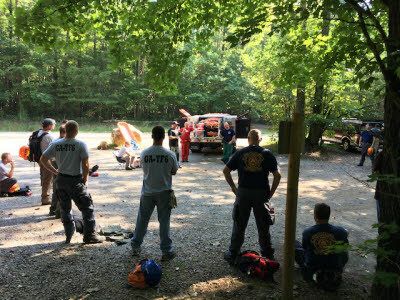 They then packaged a volunteer patient and installed a rigging system to bring that patient to safety.